The Harcourt Stewardship Committee is responsible for developing and implementing a year-round, ongoing stewardship program with all ages in the congregation. Harcourt needs your time, talents and financial support. What gifts can you offer our congregation? There are many opportunities for short-term or longer-term involvement in the activities of Harcourt. Not sure where your talents might lie? Watch for periodic “Spiritual Gifts” workshops offered by the Spiritual Life Committee to help your discernment process. Perhaps you already know where you might like to take part. An email to office@harcourtuc.ca will be redirected to the appropriate committee or organizer. Or speak directly to our ministerial staff or council members. We believe that life is a gift, and that our journey through it is best motivated by a spirit of gratitude. Generosity is thanksgiving in action. Your financial support is always needed to maintain the many ministries of this congregation. Our Finance Committee prepares a forecast of the year’s financial requirements to which we all agree at our late-winter congregational meeting. 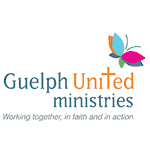 Regular weekly givings support these programs. Learn more here. Another way to ensure financial obligations are met is through donations to Harcourt’s Financial Pillars , which receive, hold, invest and distribute funds to support church initiatives. For options available for donating to Harcourt, read the booklet “Gifts That Last Lifetimes” or visit the United Church of Canada website.